I doubt that he is. But with his contract and age, I'd guess a late second or (more likely) a third. Amari Cooper just went for a first and he's not even good. ? I would've guess third or fourth before that. That’s dallas for ya but they played the two time pro bowl and age factor in. He’s like 25. If I were dallas I would have given a 2 in 2019 and a conditional 2020 6th that could be as high as a 4. There are reports out that DeSean Jackson might be on the trade block. What do you guys think his trade value is right now? With Jameis at QB Jackson is obsolete from this offense. It’s obvious with fitz Jackson was more valuable. Im not sure what team will fork over a late 2. Maybe Tennessee who’s desperate for WR talent. Not sure where he got some of this info from but interesting discussion either way. Koetter was a likeable guy but sounds like he and Licht didn’t get along as well as thought. Would makes sense why Stewart was drafted ahead of Carlton. Wow Stewart drafted to be a safety and the staff thought Isiah Johnson had more upsude at that position. I heard Stewart was getting work at safety week 17. At the time I thought that was odd but now it makes sense. I’d have to think that whoever is hired to be the HC they will have a more aligned plan with Licht. I think it has to be this time. Mike Smith might have been the 2nd worse hire since Gruden era, only eclipsed by Jeff Jagodzinski. So we made Ryan Smith a safety when he's better at CB and we made Stewart a CB when he might be better at safety. 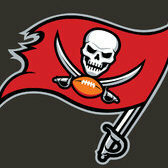 #ItsABucsLife.......... and let s make a finesse tackle a starting RG. Anger is about to be a cap casualty.